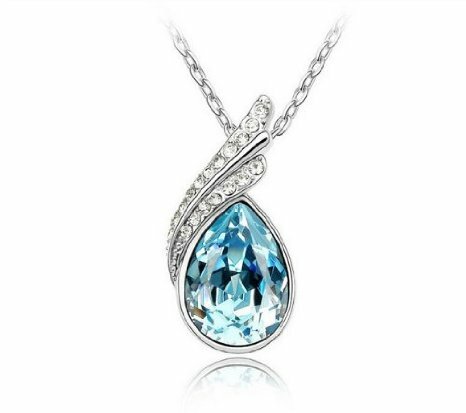 Crystal Angel Teardrop Pendant Only $1.69 SHIPPED! You are here: Home / Great Deals / Amazon Deals / Crystal Angel Teardrop Pendant Only $1.69 SHIPPED! Check out this GORGEOUS necklace! Amazon has this Crystal Angel Teardrop Pendant for just $1.69 + FREE shipping! This one is SO pretty – I’m grabbing one for me and a few for my gift closet!